Fabrice Herrault began his classical training with Daniel Franck at L’Acadamie Chaptal in Paris before enrolling in L’Ecole de Danse de l’Opera de Paris under Claude Bessy. Since Graduating from the Conservatoire National Superieur de Musique de Paris under Serge Golovine and Attilio Labis, he has danced with Le Jeune Ballet de France, Hamburg Ballet, Les Ballets de Monte-Carlo, Les Ballets de Marseille Roland Petit, Twyla Tharp and Dancers, The Royal Winnipeg Ballet. He has appeared on film in La Dame aux Camelias with Hamburg Ballet, and with Twyla Tharp and Dancers in “In the Upper Room” on PBS’s Dance in America series. He also played Mephistopheles in the Paris Production of CATS. Fabrice is member of the permanent teaching faculty at Steps on Broadway and Juilliard. 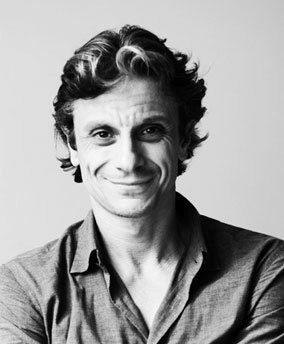 He has taught at Barnard College, the Metropolitan Opera Ballet, The Alvin Ailey American Dance Theater, San Francisco Ballet, American Ballet Theatre summer Intensive, Miami City Ballet summer Intensive, New York International Ballet Competition, in Europe with The Finnish National Ballet and Japan.